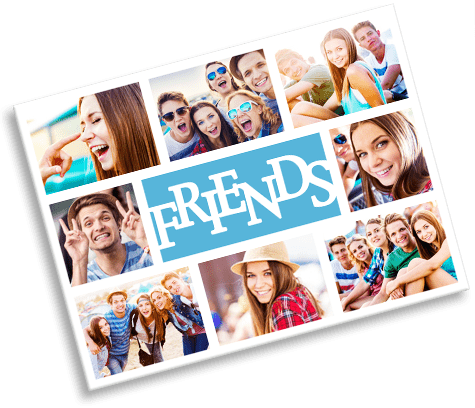 Create a collage for friends from over 20 templates. 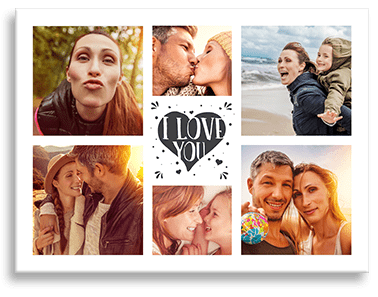 Use up to 100 photos or a heart collage. 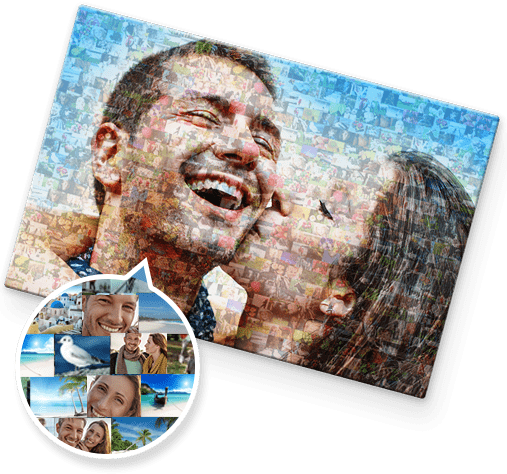 Create a photo mosaic from up to 1,000 photos. With the collage as a calendar, you’ll always have your favourite photos right in front of you. 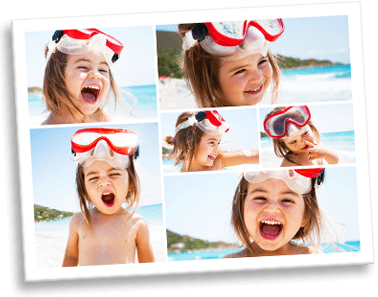 Choose from 3 calendar designs and use up to 11 photos.. Your collage will look particularly impressive printed on acrylic glass. Available in two variants and 6 sizes. Your collage as a poster is XXL printing at the best price. Select your favourite format from 11 sizes.